Nita was the matriarch of the family and led by a silent and strong belief and commitment to her family. She retired in 1978 as a Tax Examiner with the Internal Revenue Service. 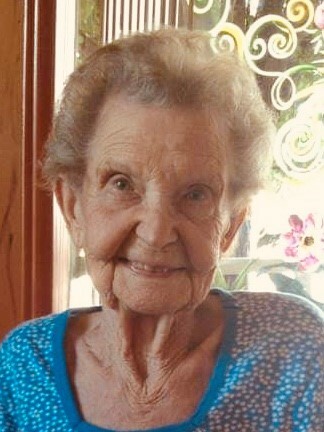 She enjoyed baking, canning, sewing, working at her computer, and spending time with her cherished cat Baby. Nita was the beloved wife of 56 years of Ernest "Pat" Winton when he passed away in 2006; was the dear mother of Marianne (Philip) Cook of Wichita Kansas and Sharon (Michael) Kunz of Ballwin Missouri; loving grandmother of Kelly (Ashley) Pouche, Katie (David) Fuhrig, Kaylie Cook, Kacy (Stephen) Sedlak and Kelsey (Corwin Henry) Cook; great grandmother of Mary Caroline, Michael, Annie, Alex, Sloan, and Sage. She will be dearly missed, but not forgotten.